Debut Day and free books! "CAN'T STAND THE HEAT is HOT in the kitchen and everywhere else!" Carly Phillips, NYT Best Selling Author. I so could have given Louisa that quote myself (but I can totally understand why she'd want it from Carly!) As someone who was lucky enough to read the first version of CAN'T STAND THE HEAT all I can say is that this book is so hot it's going to jump off the shelves. It debuts tomorrow in fine book stores and Wal Mart everywhere. Here's a little bit about the story. For sharp-tongued Miranda Wake, the chance to spend a month in Adam Temple’s kitchen to write an exposé is a journalistic dream come true. Surely Miranda can find a way to cut the hotshot chef down to size once she learns what really goes on at his trendy Manhattan restaurant. 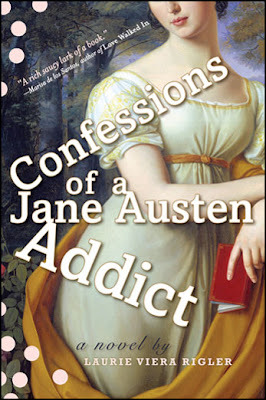 The trouble is, she never expected Adam to find out her most embarrassing secret: this critic has no idea how to cook. As for Adam, well, he’s not about to have his reputation burned by a critic who doesn’t even know the difference between poaching and paring. He’ll just have to give the tempting redhead a few private lessons of his own—teaching Miranda what it means to cook with passion. Check out Louisa's awesome website here. And speaking of awesome... Mel's book BITE ME! has been out a month now and is garnering fantastic reviews. I love these 2 books so much (and know that you will too) that I'm giving away a copy of each to a random member of my newsletter. I'm doing the drawing on Sept 10, so if you're not on my newsletter list (why not?) do so now right here. I'm featuring a new Bunco group up on my site. Go check out the Hot Bunko Babes. It's my friend Kitty's group and they're awesome. They've been kind enough to invite me twice to play Bunco with them and I've had a blast both times. I've also tried Kitty's Salsa Chicken and it's delicious. And super simple. My kind of recipe! So my son is now part of that segment of my family that I try to ignore (most of the time unsuccessfully) during college football season. A real live University of Florida Gator. Mike Geraci and I spent the last 2 days in Hogtown (Gainesville, Florida to non-Floridians) getting Kevin acclimated to his dorm and settling into college life. The atmosphere around campus was unbelievably contatgious. But don't worry, I won't be succumbing to Gator madness anytime soon, although I'm extremely proud of my son and am looking forward to his having a wonderful college experience. I have to admit, I was a little weepy too. Why do kids have to grow up? I have to admit, we had a great time in Gainesville. My parents (Bull Gator fans to the death) had suggested this little Cuban restaurant to us called "Mi Apa" (a shortened familiar version of Mi papa). The food was very good. Not as good as Versailles on Calle Ocho in Miami, but very decent for Hogtown. I was impressed. I had the ropa vieja and it was excellent. I finished it off with a cortadito and it too, was very yummy! 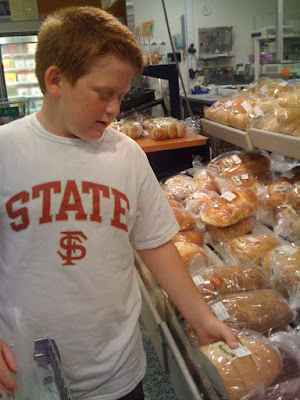 One delicious highlight of the weekend, was when my sister's friend Maureen and her 11 year old son, Maxwell, came over (that's him above checking out the Publix bakery). Maxwell is a budding chef and just about the cutest thing you can ever imagine. We'd all seen the movie "Julie and Julia" and were talking about food, and about making food, and about eating food, which stirred our taste buds to no end. So we decided we had to run out to Blockbuster to rent "Big Night" and go to Publix so we could cook something. My sister made this simple and utterly delicious pasta dish with broccoli (sorry, no pics of the pasta, I was too busy eating!) and Maxwell made his famous creme puffs. At this point, I nearly pounced on the puffs. But here they are cooling, and I was a good girl and refrained until they were ready. 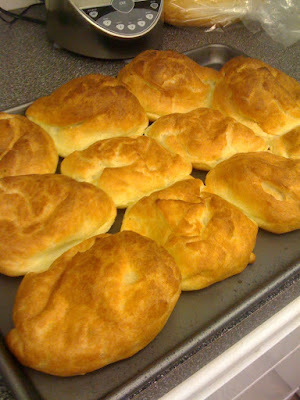 Ice Cream Creme Puffs a la Maxwell. 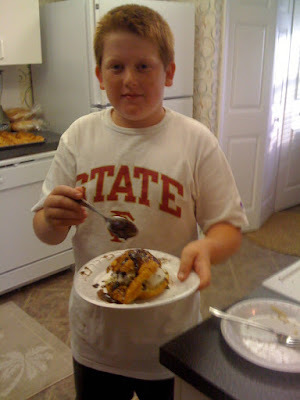 Creme Puff stuffed with ice cream and covered with his homemade chocolate sauce. Fantastic! 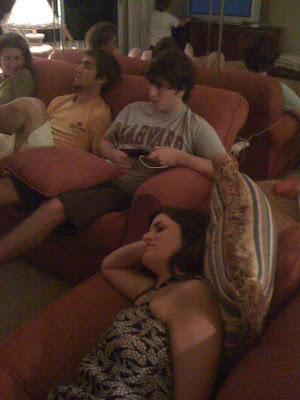 After a meal of pasta and ice cream puffs, we all collapsed to watch TV. 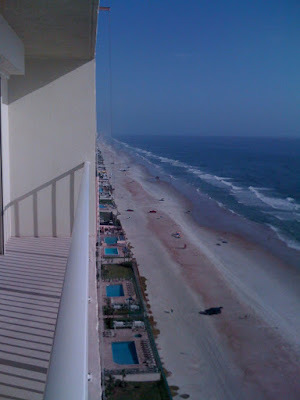 In between going to the beach, getting sunburned, watching "Big Night" and eating, I did manage to write 8 pages on Bunco Book 3. Yay! 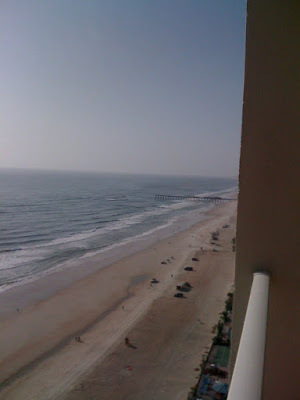 On that note, I'm trying to finish writing a critical scene, do laundry, and get some sleep tonight before heading to Daytona Beach for a little fun and sun this weekend. Yay! Is there anything Meryl Streep can't do? (besides sing?) Last night I went to see "Julie and Julia." I give it 5 pats of butter! (Butter being its own character in the flic) From the acting to the plot, it's utterly delicious. My one and only tiny nit is that there weren't enough beautiful food scenes! I'm far from a foodie (cooking ranks up there with housework for me) but I do love to eat and there were some gorgeous bread scenes that left me salivating... and hungry for more food cinematography. I guess I was expecting more along the lines of Big Night (if you haven't seen it, run to rent it) which also, coincidentally, stars Stanley Tucci, which leads me to ask, is there anything Stanley Tucci can't do either? And speaking of foodie flics, I had to go and comment on Michelle Buonfiglio's B&N blog in which she interviews book buyer Tommy Dreiling. 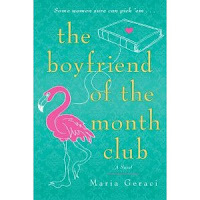 Michelle wants to know what's the next big trend in romance. We all know vampires are hot hot hot right now (Mel's book Bite Me! is already in its 2nd printing. Yay!!) but I really think foodie romance is going to completely take off. 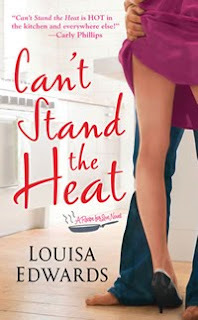 Which is awesome for Louisa's book Can't Stand the Heat (St. Martins). It comes out Sept 1 and I promise, you won't be disappointed! It's as yummy as Julie and Julia is! Who doesn't just love this? So I'm sitting here in my closet, writing away on Bunco book 3 (title to be named later) and I'm just having such a freakin' hard time whenever my hero enters the story. Now don't get me wrong, I love my hero. It's Zeke Grant, Whispering Bay's chief of police (and a secondary character in Bunco Babes Gone Wild). Zeke is married to Mimi, one of my Babes (only mentioned once in Book one, but a prominent secondary character in book 2) and he's absolutely delicious. (Think Josh Lucas in Sweet Home Alabama). But the guy is sometimes just too alpha to live. Every time he opens his mouth I want to put a sock in it. I wish I could curb the things he says but then he wouldn't be the right character for this book or for my heroine. I was reading Eloisa James' article over at B&N titled Alpha Allure . I absolutely love Eloisa's heroes. One of my favorite all time heroes is Rafe from "The Taming of the Duke." He's the perfect tortured alpha male. And it got me to thinking about heroes in contemporary romance vs historicals and I've come to the conclusion that they aren't that much different. I think, as women, we are initially attracted to all the prominent characteristics of the alpha male- the in-charge, sexually potent guy who walks in a room who makes women stand up and notice. But it's the little leaks in the damn he uses as a shield that actually make us fall in love with him. Because let's face it, perfect is boring. Imperfection, on the other hand, allows us a glimpse into the real man inside and it's the way he handles those imperfections that can make or break a character. Like Eloisa's tortured Rafe. Sigh. I still wonder what he's up to. And that's the ultimate test of a really great character. Creating a person so vivid, so interesting, that they stay with you long after you've finished the book.